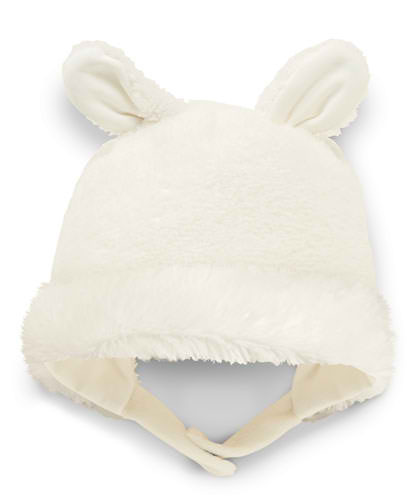 Bunnies by the Bay: knit lined hat softly cuddles baby’s head in warm winter velour with fur trim. Perky bunny ears add the final touch to make this adorable indeed! Machine wash cold & line dry. Size 6-12.